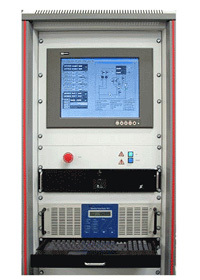 The HHV TF500, TF600 and TF800 are developed for enhanced levels of process capability. 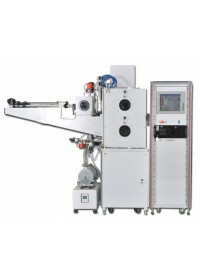 A choice of chamber sizes and accessories, deposition techniques, work holders, load locks and pumping options allow the system to be configured to your exact needs. TF500 allows multiple sources to be accommodated while TF600 and TF800 add the benefits of ion beam processing. All systems are available with load lock options. 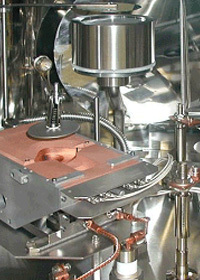 The range of process accessories includes resistance sources and electron beam sources, plus RF and DC sputter sources. 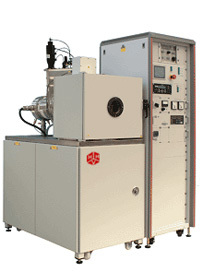 Ion source options include RF and DC variants with narrow-beam for etch and broad-beam for surface modification. Both systems are fitted with stainless steel chambers which have the high vacuum pump mounted on the rear. The top plate and bottom plates are designed specifically to give the optimum arrangement for each customer and can simultaneously accommodate resistance, e-beam and sputter sources. Dedicated sputter systems can be configured for upward or downward deposition. Control options include a PLC-controlled vacuum system and manually-operated process accessories for simplicity, or a PC-based system which provides users with advanced functions such as recipe control and data logging. Pumping options include scroll pumps, dry turbo pumps and cryo pumps.